Lyme disease is a growing epidemic. Spending a summer hiking in the woods can be an amazing experience, until you notice the classic Lyme disease rash. This happens when you are bitten by a tick that is infected with the bacteria that causes Lyme disease, Borrelia burgdorferi. The problem with Lyme disease is many people don’t see the tick bite and do not know they are infected. Ticks on humans can be just as common as ticks on animals if you spend a lot of time outdoors. Lyme disease is common in the Northeast parts of the United States, the Midwestern region and a small amount of cases on the west coast. The bacteria is carried by deer ticks and can cause very severe illness or even death. Over 25% of Lyme cases occur in children and it is one of the fastest growing diseases caused by an insect bite. 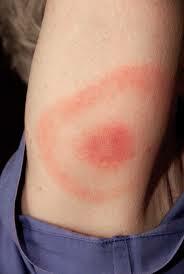 Lyme disease and Lyme disease rash are highly treatable if caught early. This article will help you understand the symptoms, how it is diagnosed, and the treatment. What Does Lyme Disease Rash Look Like? Keep in mind that a Lyme disease rash can appear anywhere on the body, even separate from the actual bite. 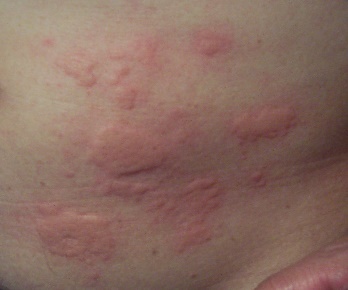 The rash may be small and just surrounding the bite, or spread to a large area. EM (erythema migrans) can multiply and appear in different areas of the body. These symptoms appear within three to up to thirty days after you are bitten by a tick. 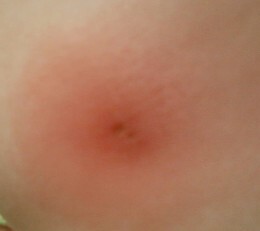 The actual spot where the bite occurred may clear up in about one or two days, but the symptoms can last a few weeks. The onset of symptoms usually take a few weeks to a few months to clear up. They may go away on their own without treatment, but most likely will progress and become severe. It is not recommended to leave Lyme untreated. If you have any of the above symptoms, see a doctor right away. This stage begins within a few months after the bite, but can still appear years later if the infection is not completely treated. There are around 10 to 20 percent of people that recover from Lyme disease and still experience symptoms even after being fully treated with antibiotics. These symptoms last for years including joint pain and arthritis, trouble thinking clearly, chronic fatigue, and trouble with sleep. While many may think the infection is ongoing, long-term antibiotics don’t seem to help clear up the symptoms. It may be the initial infection triggered an “autoimmune” response that lingers beyond the actual infection. It is very important to diagnose and treat Lyme disease as early as possible. Use precautions to prevent tick bites by covering exposed skin when working or hiking in the outdoors during the warmer months. Check your skin for ticks after being outside and remove them, including the head with tweezers only. If you do receive a tick bite and think you have Lyme, see a doctor right away. ELISA (enzyme-linked immunosorbent assay) – This is the most common test for Lyme disease and checks for antibodies to the bacteria, B. burgdorferi. It takes a while to become positive so the test cannot be performed for a few weeks after a bite. Western Blot – This is usually a secondary test if the ELISA comes back positive. This test also checks for antibodies to the bacteria and needs to be done a few weeks after the bite. PCR (polymerase chain reaction) – If you have joint pain after a tick bite, the doctor can withdraw a sample of joint fluid and test it for the bacteria. It won’t check for the infection in the bloodstream, but can also be used to check for infection in the spinal fluid. Oral – The most common antibiotic given is doxycycline (a version of tetracycline). If you are allergic, you may be given amoxicillin or cefuroxime. Children and pregnant women cannot use tetracycline because it is toxic to younger patients, so another effective antibiotic is usually used instead. Oral antibiotics are usually given between 14 and 21 days. Intravenous – For sicker patients, intravenous antibiotics are used for 14 to 28 days. This type of treatment can be administered in the home with the help of a home health nurse. This can cause side-effects including diarrhea, low white blood cells, and yeast infections. Home remedies. With your doctor's ok, you can also try some of the home remedies for lyme diease to heal faster. Learn dietary tips and herbal remedies here.